Kansas City,MO- Galesburg,IL I wish to thank our Southwest Chief Locomotive engineers for making this page possible. 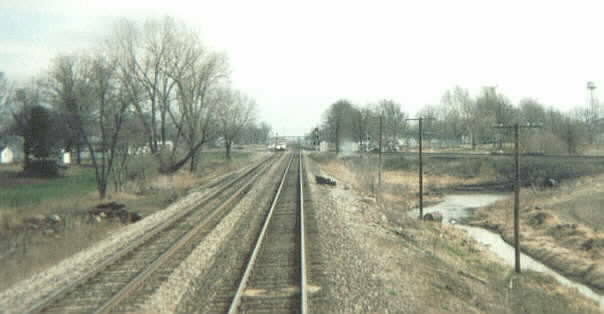 The photos below were taken in the first quarter of 2000. 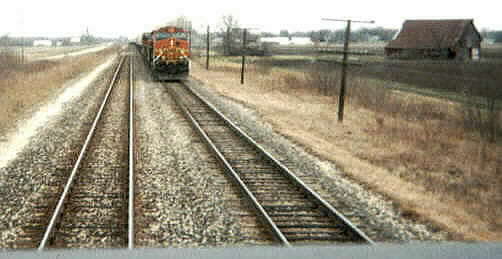 Passing a BN-SF freight train.Double track both trains on the move. 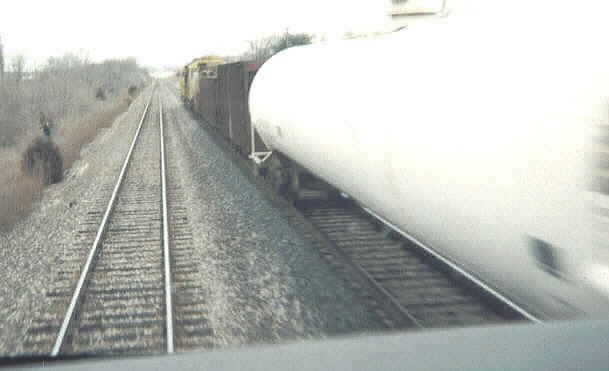 Our train is over taking a BN-SF freight train.Both trains are on the move. 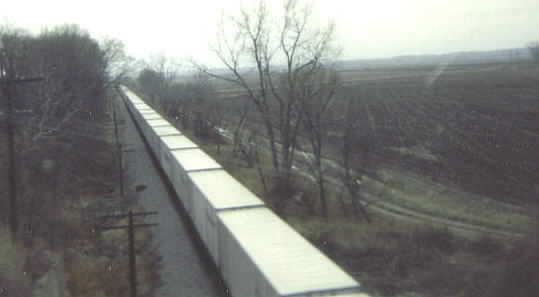 Our train the eastbound Southwest Chief is on a bridge.Passing over a unit train of trailers. 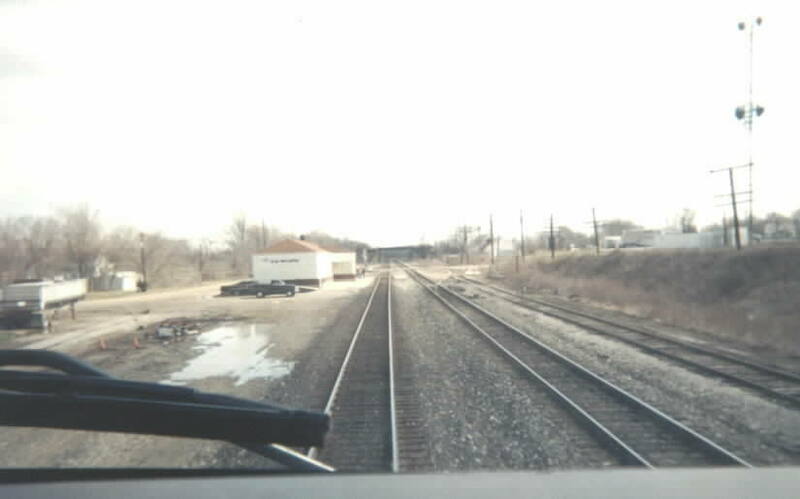 Both trains are moving were near Galesburg,IL.Going over the old AT&SF line. Look on the track to your left you can see a the head lights of a high rail car on the track..
Getting ready to cross the Mississippi River on the Iowa side. Crossing the Mississippi River.Note the upper deck of the bridge.It's for automobiles. 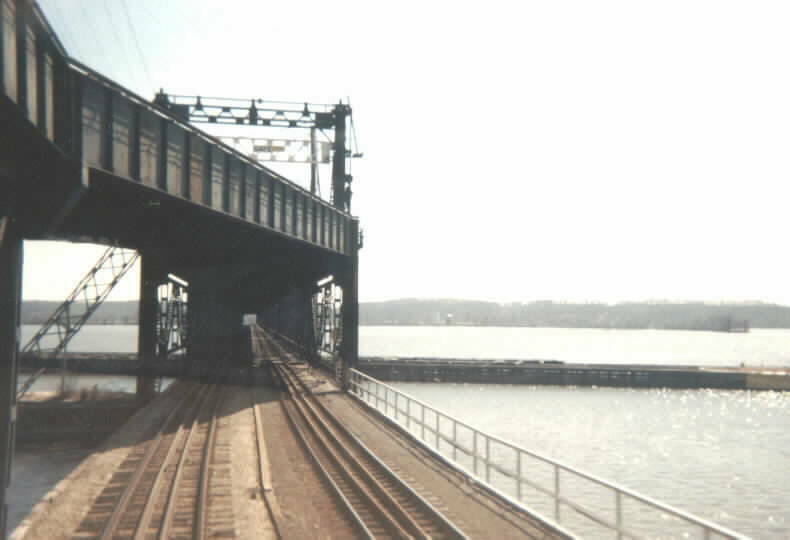 This bridge is the world's largest of it's type.It's a double track railroad swing span bridge. That accommodates automobiles on the upper deck. which is usually the case).